Get in the holiday groove with this whimsical Christmas tree ornament. 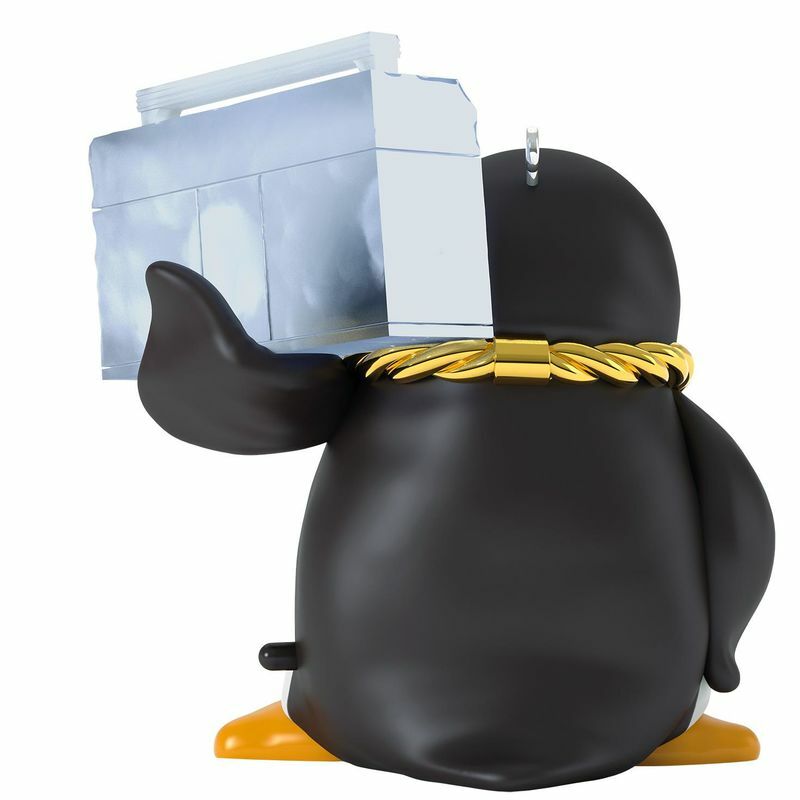 This cool penguin sports a shiny, thick gold chain (with a fish medallion!) 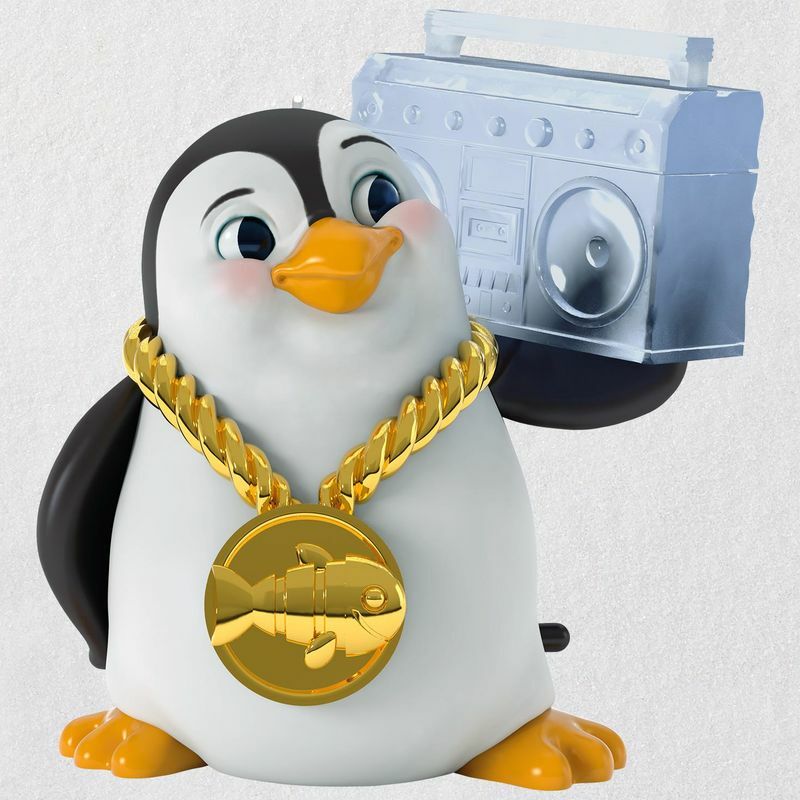 and a boom box on his shoulder. Just press the button to crank out part of the iconic hip-hop song "It's Tricky" performed by Run DMC. Magic Sound Christmas tree ornament. 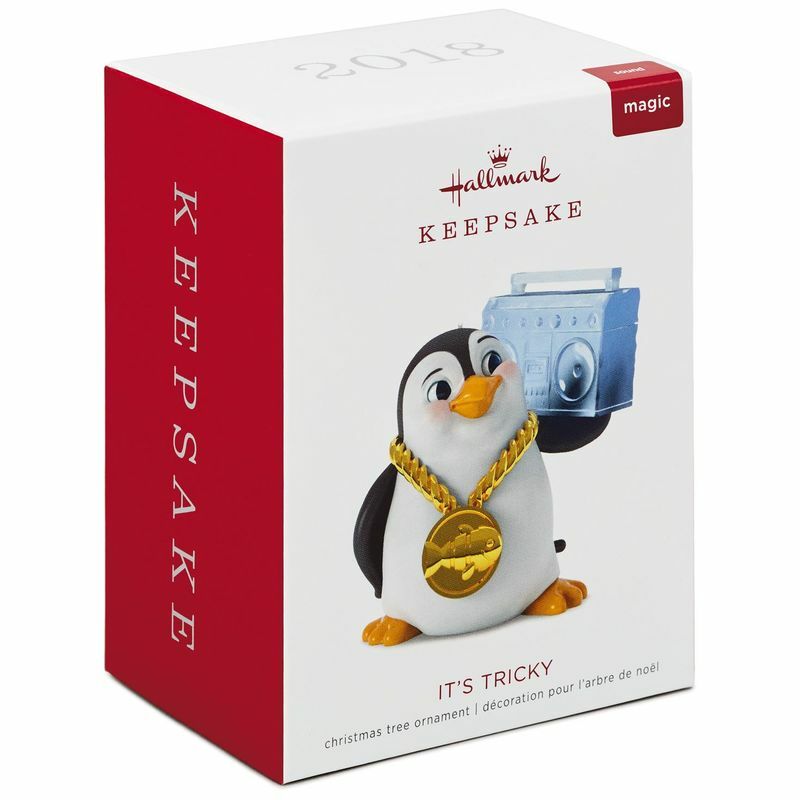 Press the button on the ornament to hear music from "It's Tricky" performed by Run DMC. Battery operated. Requires two (2) LR44 batteries, included. Measures 2.81" W x 2.97" H x 2.13" D.